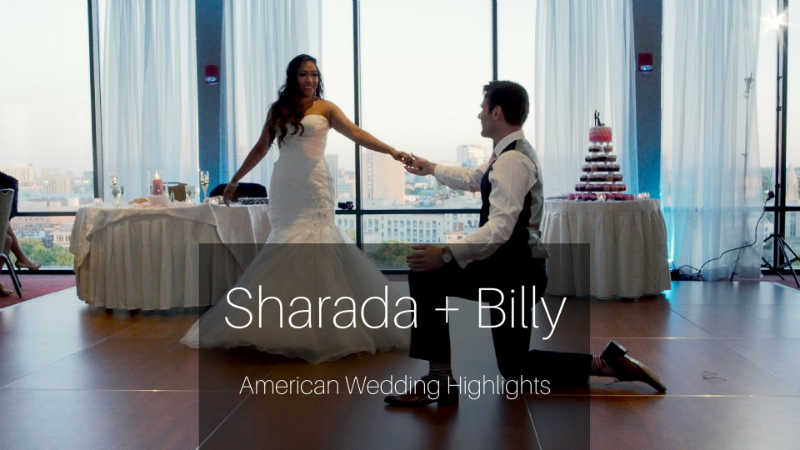 You probably already saw Day 1 where Sharada and Billy had their American wedding. If you haven’t then go see the Boston Wedding at Hyatt Regency blog post. I love the intentionality behind using the Hyatt Regency as their venue. It has so many great rooms that they were able to use different rooms every for each wedding. It really made each wedding feel incredibly unique. Boston Sound and Light puts on an amazing Baraat and this day was not an exception. There is no better way to go to your wedding than to be brought in on a horse, while all your friends and family dance. So fun! In fact, Lori (my wife) decided that if we were to redo our wedding that a Baraat would have to be included. Lily and Kevin don't live in the area anymore so this was a bit of a homecoming for them. I love the excitement that they had for this entire day. You can see it on Lily's face at the end of this film as she watches the fireworks stream across her face. You can see it as Kevin listens to his best man tell him how awesome his beard and love of Toyotas are. This was the first time I've seen a horse drawn carriage take the bride and groom from the church to the reception. What a fantastic idea! Plus everyone got a chance to take a ride! Great day! We are so happy to be a part of it. Enjoy their story! Brookland Farm Wedding Highlights \\ Lily + Kevin \\ New Hampshire from Latimer Studios on Vimeo. This entire wedding felt like a family affair. All the little details you see are made by a family member or friend. They decided to get married at the beautiful Maine Barn at Flanagan Farm. Almost everyone at that wedding, including Katie and Sazi are from California, so their wedding in Maine was a destination wedding. We love destination weddings! When we arrived there was already preparations happening for dinner. Keep in mind that the reception hall is connected to the house that the family was staying at, so everything was close, including the kitchen. It felt like we had walked into someone’s home as they were preparing for a big family get together. There were good vibes right from the start. Katie’s uncle was the officiant at the wedding. I loved that he asked both Sazi and Katie, separately, why they wanted to marry each other. It was a sweet moment to capture such authentic questioning and to hear genuine love for the other. He also had to do a ceremonial tying of their hands together, which I’ve never seen. I really enjoyed watching him practice in the morning and then nail at the ceremony. It was a really cool tradition. This location is so cool. It’s a remodeled 19th century farmhouse. The barn itself is where the reception was held and has this beautiful rustic feeling. The wedding ceremony was held outside. They have a spot setup set back in the woods with wooden benches and a long (long!) pathway for the bride to walk down. A beautiful location with so much great character. There was plenty of dancing! The night ended on such an fun note. Dancing, rainbows (dare I say double rainbow?) and more. It was a fantastic wedding! This wedding was so much fun! Sit back, relax and enjoy their story! 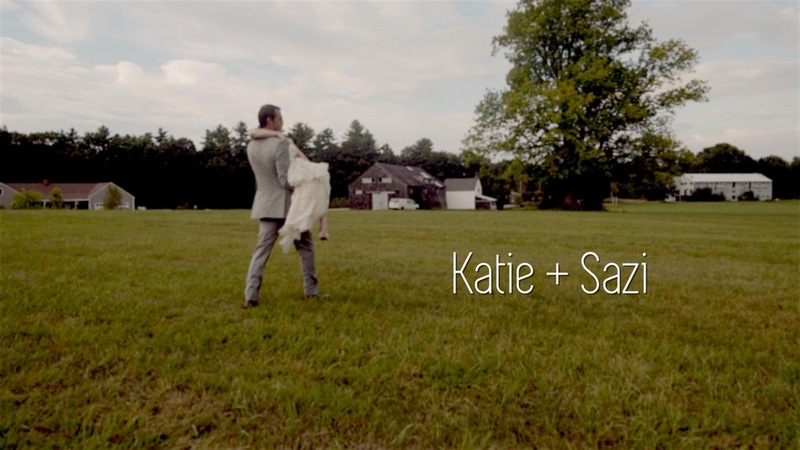 The Barn at Flanagan Farm // Maine Wedding // Katie and Sazi from Latimer Studios on Vimeo. When I think of this wedding, fun is the first word that comes to mind. Both Jen and Billy mentioned laughter in their wedding vows; it's part of their DNA. It's not only in their DNA, but it is a part of the people they are friends with. The bridesmaids started the day by learning how to do a line dance before heading over to the Barn at Gibbet Hill wedding. The speeches were hilarious, unique and touching. Fun fact, typically during the speeches I'm filming the person giving the toast and my wife, Lori, is moving around getting guest reaction shots or creative angles. In the middle of the maid of honors speech my wife ran over to me because she was so excited. She had to tell me right there that they were doing their own version of a speech from the movie Bridesmaids. You know it's a good speech when that happens! Of course, the first dance was amazing. One of my favorite first dances of all time. I'm going to enjoy any event that has a fun environment and this was fun, but what really made me enjoy this wedding was that it felt like an extension of their personalities. From the boots, to the country music, to the Barn at Gibbet Hill Wedding, to the vows it all felt like it matched exactly who they are as a couple. We talk about authentic weddings a lot and this is an exact example of what we mean. Barn at Gibbet Hill Wedding \\ Jen + Billy \\ Best First Dance Ever from Latimer Studios on Vimeo.